Usually, when I ask that question, I’ll get a great variety of answers. Some people will already have worked it out to the penny, others will pluck a figure out of the air (a million pounds seems to be quite a popular figure for some reason, as are the words ‘a lottery win). While the actual amounts might vary … all of the answers ‘amount’ to the same thing … that‘enough’ is the amount of money you need to have the ‘freedom’ to do whatever you want every single day. Buy a bigger house or your dream car? Pay off all of your debts and live ‘worry free’? Decide never to go to work again? Travel the world and tick off all those things on your ‘bucket list’? Give to charity and change the lives of others? These are in no particular order and of course, there are plenty of other reasons, but these are the ones I hear most often. Just as the list of things varies from person to person – as I have already mentioned, so do the amounts of money needed to achieve this. For some, an extra £2,000 or 3,000 each month would make all the difference … for others, it would take something closer to £10,000 a month to tick all of the boxes. Ideally, this would involve a way of generating income that was as flexible as the needs of the people who used it … something you could just use to ‘tick over’ on a debt-free, carefree life if you wanted … then whenever you needed extra cash for something like a new car or dream holiday – simply ‘dial it up’ and reap the greater rewards. 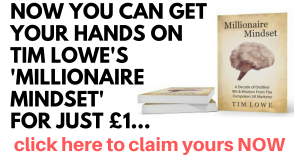 Jot down just what £10,000 a month would mean to you … how long would it take to completely pay off everything you owe? Mortgage, credit cards, everything. How long would it take before you had that ‘carefree’ life? Even if you were already mortgage free – jot down what you could do with that £10,000 each month … what would you do? Where would you go? Who would you help? 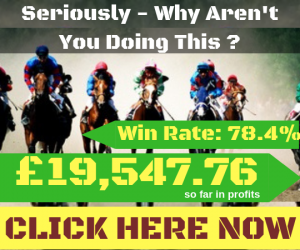 It’s quite an interesting exercise and you might very well find it wouldn’t take that lottery win for you to have that dream lifestyle – or even as long as you thought to achieve it. Previous Article← Is all of your hard work just lining other people’s pockets?